Kendra was the winner of the first ever Extreme Makeover: Blog Addition week!! This was one of my old blog designs that I had used a while ago for my personal blog Kendra loved it and asked if I would personalize it for her. Now Kendra has a beautiful personalized blog design! 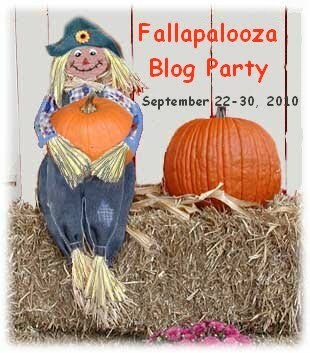 Shannon is hosting a blog party! She is giving away eight cool prizes, but since we've moved to Egypt, she can't ship to me, so I'm entering for my friend, Johanna! If you'd like to enter, just click on the button above! 1. Ring! Ring! You receive a phone call from a national sweepstakes organization saying that you have won a life-time supply of your favorite beverage!! Hmm...I would say hot chocolate, but I'll choose something heathly because it's a lifetime supply...Mom's smoothies! 2. If you could live in a Jane Austen novel, which book would you pick? What character would you be? I haven't read the Jane Austen books! 3. What is your theme song, that favorite song that absolutely matches you? I have a lot of favorite songs, and they change all the time, but right now it's "Somethin' Crazy" by Steven Curtis Chapman. 4. You are trapped on a deserted island. Your only supplies are the clothes you have on, and a box with five things in it. What are those five things? This is fun...my Bible, matches, a gun, a bucket, and a tarp. 5. Chocolate or Caramel? CHOCOLATE!!! 7. If forced to do one of the two, which would you do: sky diving or scuba diving? Why? Sky Diving! I love the feeling of flying! 8. Favorite TV show, and why? We don't have TV...but when we go spend the night at our Grandparents' we watch the Duggars. 9. Are you a coffee and donuts sorta lady, or a tea and scones type of gal? Can I switch things around? I don't like coffee, but I LOVE donuts, and tea, so tea and donuts??? 10.The time machine has finally been created, and you are the first to be able to use it! What era would you travel too? I'd live in an old masion in the 1800's and help slaves excape! 12. Ding-dong!!! Your favorite actor/singer/celebrity is at your front door! Who would it be? Um...does Jesus count? 13. What was your absolute favorite toy as a baby? I don't know, probably matches. 14. What types of blogs do your like best? (examples: DIY, cooking, journal, etc.) I like photography blogs, 'regular' blogs, and design blogs. 15. What is your favorite Bible verse, your "life verse?" Isaiah 40:31~"They that wait upon the LORD shall renew their strength, they shall mount up with wings, as eagles." I told you I'd like to fly! Update-I'm getting tired of calling it that! Today everybody but me (I'm still sick but getting better), Anna (she had a cough), Petra (she had a cough), Mom, and the baby, Nehemiah, went to the beach this morning. I've been only once but it was great! I guess half the crew stayed, which is bigger than normal. I'll show pictures of the beach when I go next and feel better! Remember I was counting my blessings? #34 Only 10% of the people in this house are sick. #36 We have FOUR laptops! Well, I'm feeling tired again and Anna is begging her head off to get the laptop, so I'd better go. PS: Sorry that my blog looks so messy, I had to change it because I couldn't stand that dark color! Please pray for me 'cause it's a bit hard to have sharp pains in your stomach with a bad cough! Anyways, the internet doesn't work very good here so I won't be on it much right now. Tomorrow we're going to a church, I'm going to see if I feel good enough to go. I'll try to read every bodies posts, but it'll take me a bit to catch up. I'm tired so I'm going to go to bed now...thanks for your comments on the last post!